In order to register and participate in the Artist Members Exhibition, you must be an active member of Guild Hall at the Individual level or higher (Student memberships do not qualify). If you are not a member or need to renew, please visit our membership page. You can check your membership status at anytime by creating a free profile at the login home page. To read the full rules and guidelines of the Artist Members Exhibition, please click here. 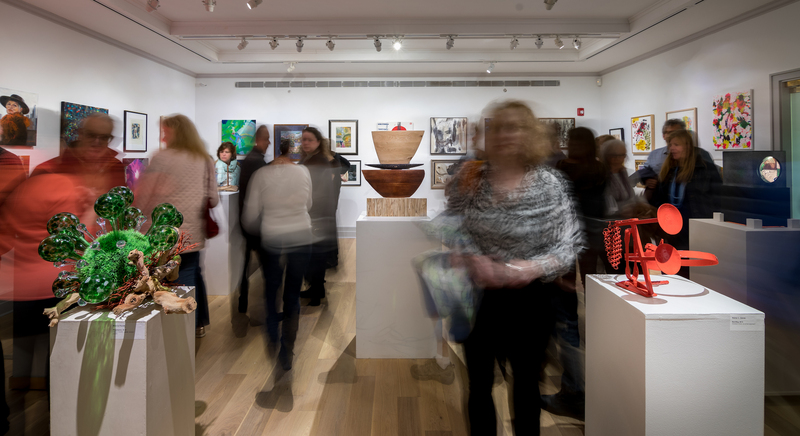 The Guild Hall Artist Members Exhibition is the oldest non-juried museum exhibition on Long Island and one of the few non-juried members shows still offered. This community-centered exhibition is an opportunity to celebrate the artists who live and work here. Artists from every level participate to show their support for Guild Hall and its role in community life. Registration closes at 11:59 on 2/18/19.